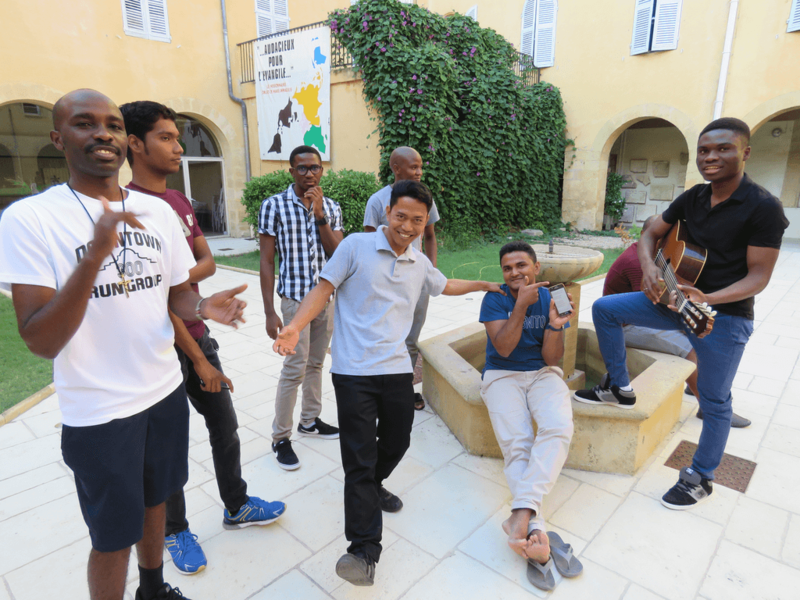 We, students in Aix-en-Provence, chose to live our university year alongside with the Oblate community. During the integration weekend, we met and had time for sharing. it was the time to build fraternal links by getting to know each other. Each one of us with each difference and each own personality has become integrated and we now form a true fraternity based on listening, respect for others, openness, sharing and spiritual life. It was also thanks to a natural friendship and a relaxing atmosphere that we felt welcome in the community. As a project of Christian life inspired by Saint Eugene de Mazenod, helping the poor and the weak is essential, it is a question of making the choice to “succeed one’s life” rather than that of “to succeed in life “. After a common reflection, a word emerges as a guideline of the year, the one in which God expresses himself: “I am the light of the world, the one who follows me will not walk in darkness, but on the contrary he will have the light of life “(John 8:12). We are called to bring that light ever present in our hearts so that it can illuminate the world. It is through the fruit of this weekend of integration that the light of God will spring. 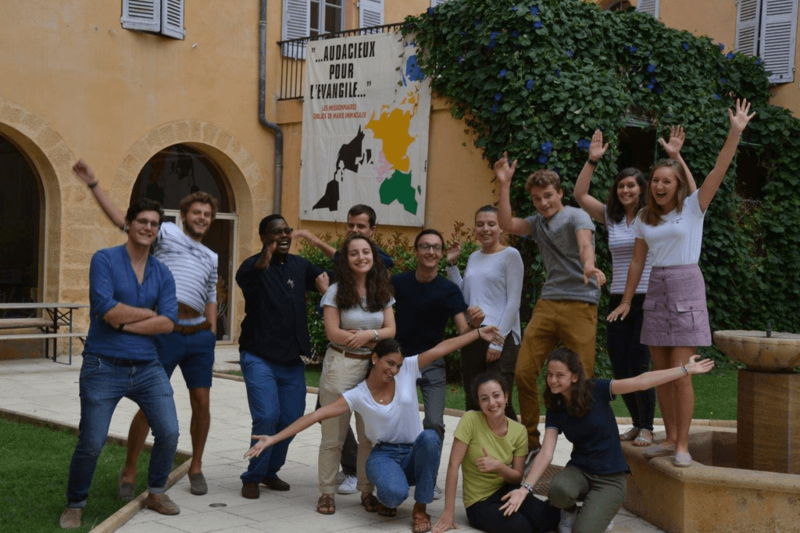 With a great joy the Oblate community of the International Center of Eugene de Mazenod (CIEM) in Aix shares with you news of its mission and invites you to participate in the upcoming events. The Session for the Novice Masters has ended on July 31st. 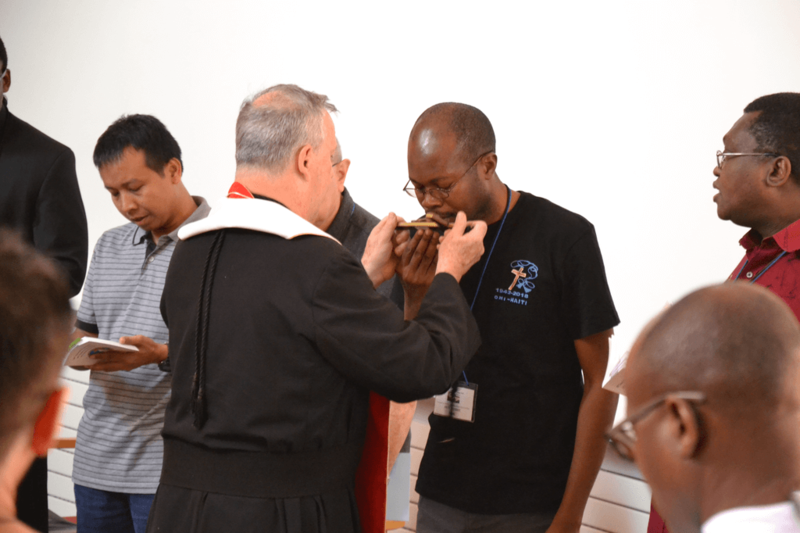 Few days later, we welcomed the Oblates and their youth from the region of the US and Canada. 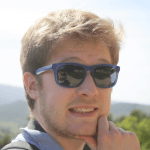 They come to Aix to shoot some videos for the Year of the Oblate Vocations. 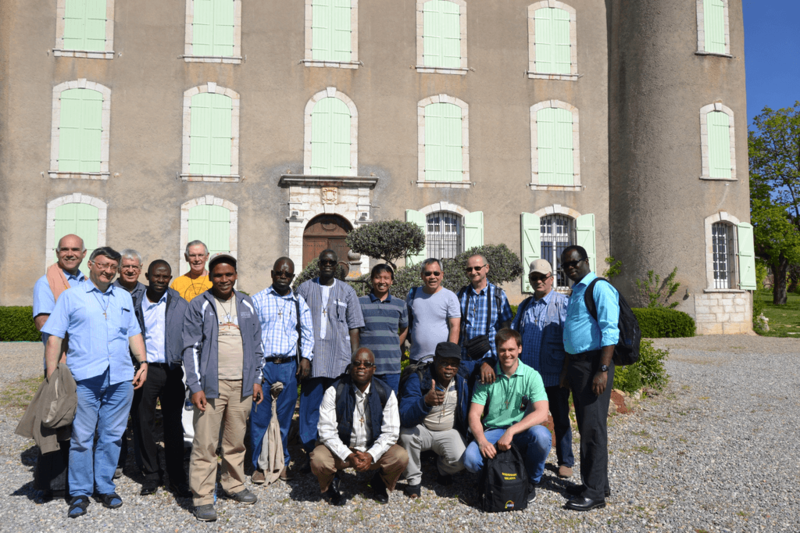 At the beginning of this week, we welcomed 22 Italians (Oblates and young men) passing a night for their vocational pilgrimage at Aix. At the same time we began a session for the Oblate students, so-called the Summer Session for the Scholastics. They are 22 scholastics and 2 formators. 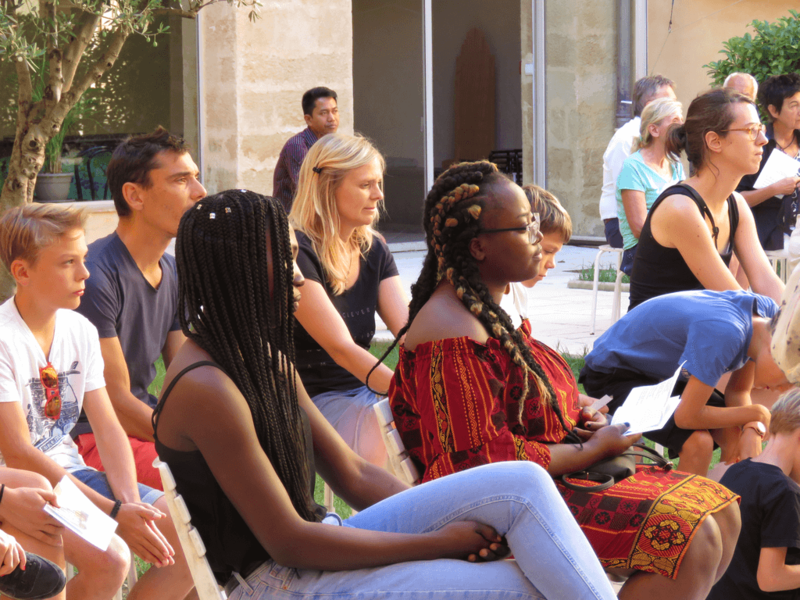 Meanwhile, we are going to have also “Summer Festival”, an event prepared for the last few months by the community in collaboration with the Oblate Youth of Aix and of Lyon. In September, another event on our agenda is the 200 years of the Oblate Rule of Life. 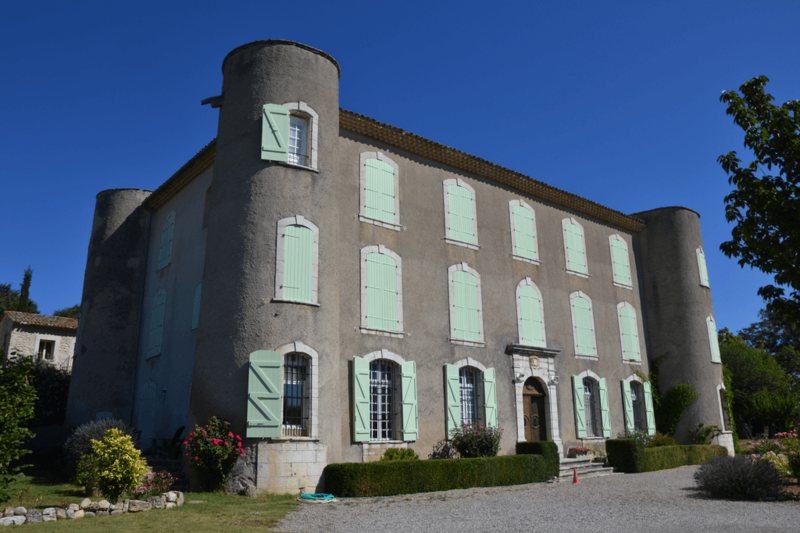 It was on early September 1818, Saint Eugene de Mazenod drawn back to Saint-Laurent du Verdon, in his family castle, to write the Constitutions and Rules of his newly-born community. 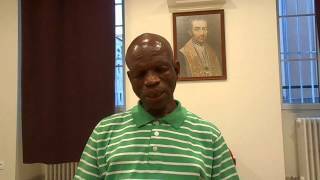 Friday, September 21, 2018, at 18:30, at the Oblates’ Chapel : A Conference on the coat of arms of Monsignor Eugène de Mazenod by Mr. Cyril GAMBINI, the director of Saint Eugène de Mazenod College in Marseille. Picnic on the banks of the Verdon Lake. Thank you for your atention to these proposed events. We wish you the best for the month of August. 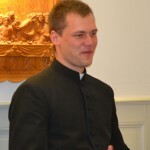 Novice Master is an educator of candidates for religious life. He helps the candidates to discern more clearly the call of the Lord in order to respond his call better. 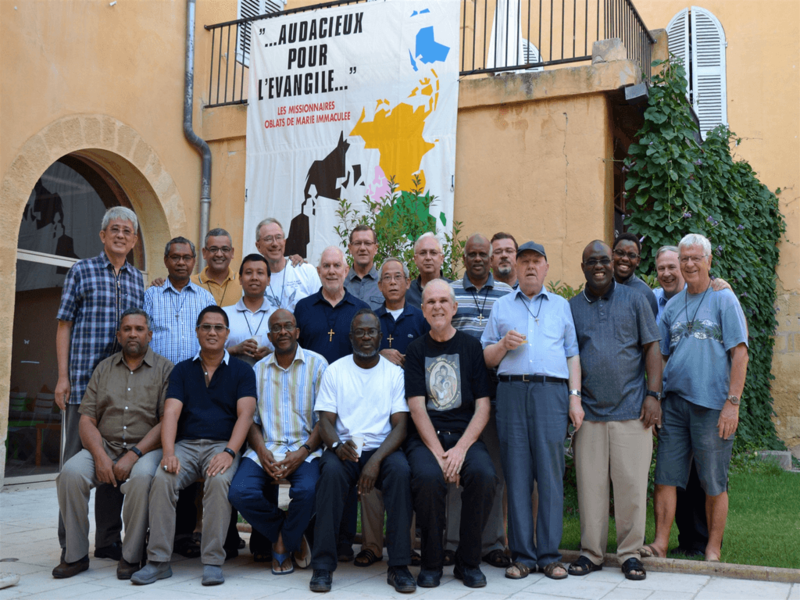 During the year of Oblate vocations, the novice masters of the Congregation of Missionary Oblates, from 16 different countries, met in Aix-en-Provence. “Being novice master is a true missionary commitment. 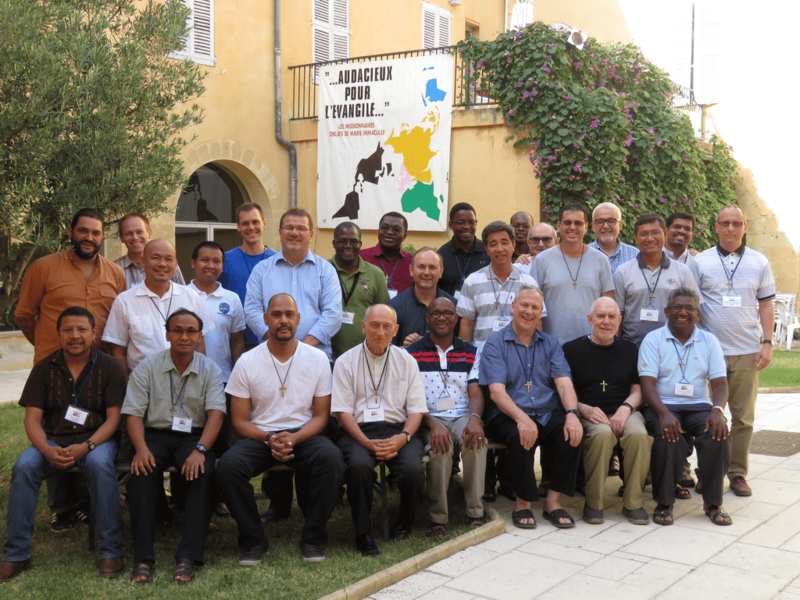 This ministry allows me to live fully the Oblate Charism and to collaborate with Christ who has trained men to missionary life “- said one of the participants of the session. 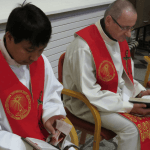 “We live this mission in the apostolic community by following the example of Jesus and the Apostles” – says another Novice Master. These are some topics of the session, such as (1) to understand better the missionary identity of the Oblates; (2) to know how to initiate young people to prayer and religious life according to Oblate spirituality; (3) to live together in the context of interculturality; (4) to deal with the fragility of candidates, and some other issues came up during the session. The session is directed by Fr. Cornelius NGOKA, the General Assistant for Oblate formation. There areas well two major interventions are made by Fr. Frank SANTUCCI, omi and Fr. Thierry ANNE, sj. 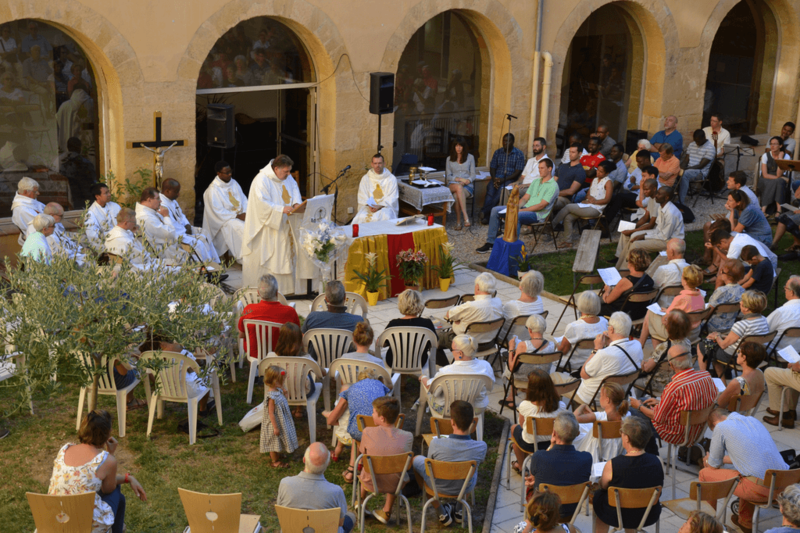 This year, since May 21 fell on Whit Monday, it was on Friday, May 25th that the Mazenodian family was invited to celebrate Saint Eugene de Mazenod with the Community of the Oblates of Aix. 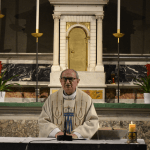 At the beginning of the Eucharistic celebration, the faithful listened attentively and emotionally to the account of the last moments of the life of the Founder of the Missionary Oblates of Mary Immaculate. To the little ones of this earth “(Ps 95). 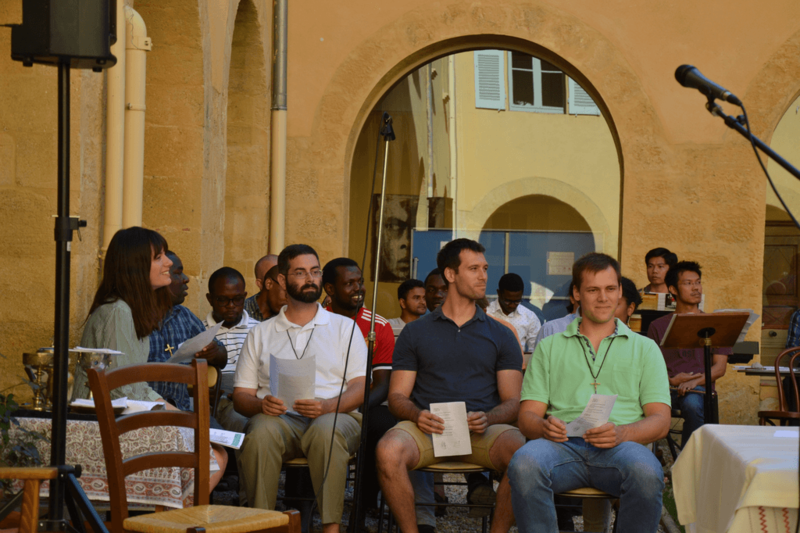 Then the many participants gathered in the cloister around the entire community of Aix. The Oblates of the Mazenod Experience from all over the world were present, as well as Oblates from the community of Marseille. For the first time, lay people from the parish of Fuveau and one of their priests were present for this festive evening. The Mazenodian family is growing! Fr. BONGA recalled the message of St. Eugene on charity and the heart of everyone’s mission: to make Jesus Christ known. Then, the members of the Mazenodian family, the young Mazenodians, and the young people of the Frat, spoke about their experience with the community and within this Mazenodian family: the welcome, the simplicity and the humility of the members of the community, the serenity of this house, the love for one another that shines through, the faith in the service of others, the meeting of different cultures … so many precious gifts drawn from the Oblate charism and highlighted by the speakers! The evening, enlivened by international songs, continued with a great barbecue that delighted all the members of this beautiful Mazenodian family. Twelve Oblates from 8 different nationalities are currently participating in the De Mazenod Experience that is being given in French. 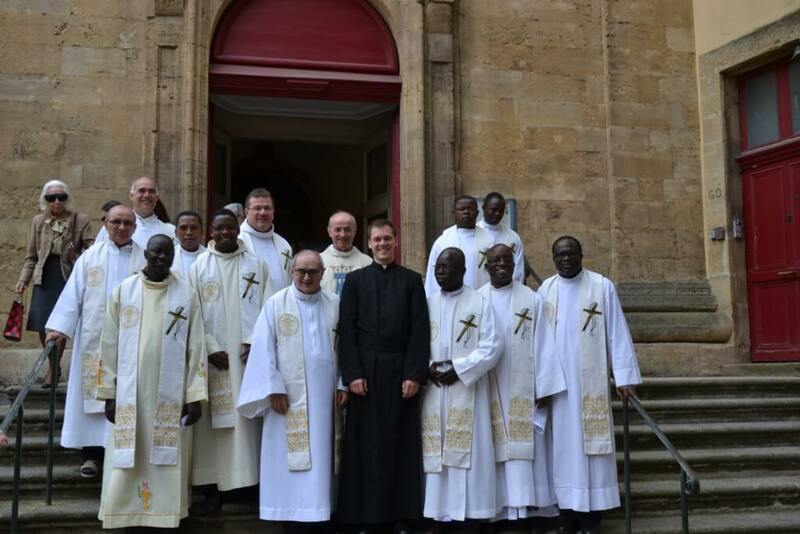 This session is taking place in the birthplace of the Congregation and is led by three Oblates: Joseph Bois and Asodo Istoyo (Aix-en-Provence) and Ron LaFramboise (San Antonio in the United States). The De Mazenod Experience is a renewal program whose purpose is to enable the participants to look at their experience of the Oblate charism as it is lived in their daily missionary life. The experience takes place in an atmosphere of prayer, reflection and fraternal sharing. Important moments of the Experience are the pilgrimages to the significant places of the foundation: Aix-en-Provence, the first missions preached by the Missionaries of Provence, the tomb of the Founder in Marseille. The highlight of the program is the two-week silent retreat according to the Spiritual Exercises of St. Ignatius that is held in a monastery. 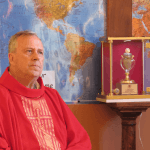 It was the 1986 General Chapter that gave birth to the spiritual renewal program called the De Mazenod Experience and choose Aix-en-Provence as its location. The first of 45 Experiences to date was in 1990. 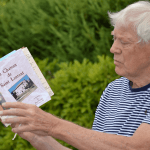 Nearly 620 Oblates have participated in this program. September 12 the English Experience will begin. If one can assimilate “oblation” and “offering”, the word “Oblate” designates the one offered to God. Oblation is therefore a consecration. 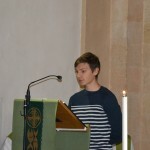 On the Sunday of the Holy Trinity, Patrick VEY, Oblate scholastic in internship at Aix Community, renewed his oblation. He made the gift of himself. He therefore devoted himself to God to be in the world a sign of his love. Oblation is a commitment of faith and love expressed publicly. 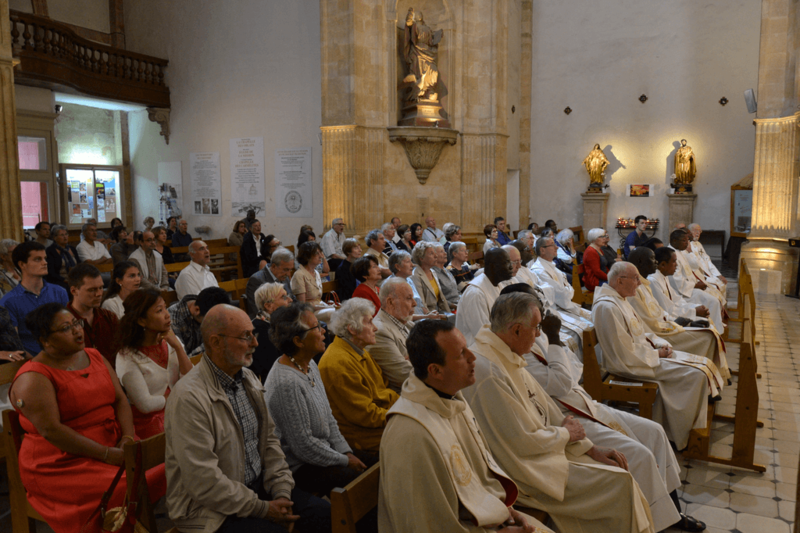 The renewal of Patrick’s oblation was made at the Mission Church in Aix, in front of Father Paolo ARCHIATI, Vicar of the Superior General and in the presence of many Oblates and faithful. During this celebration, Patrick delivered his testimony on the discovery of the call to missionary life and his vocational stages in Germany, Italy and France. 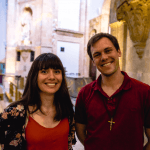 After his year-long internship in Aix, Patrick returned to Italy in order to continue his formation in the missionary life by studying canon law. We hope that his final commitment will be made soonly in a few months. 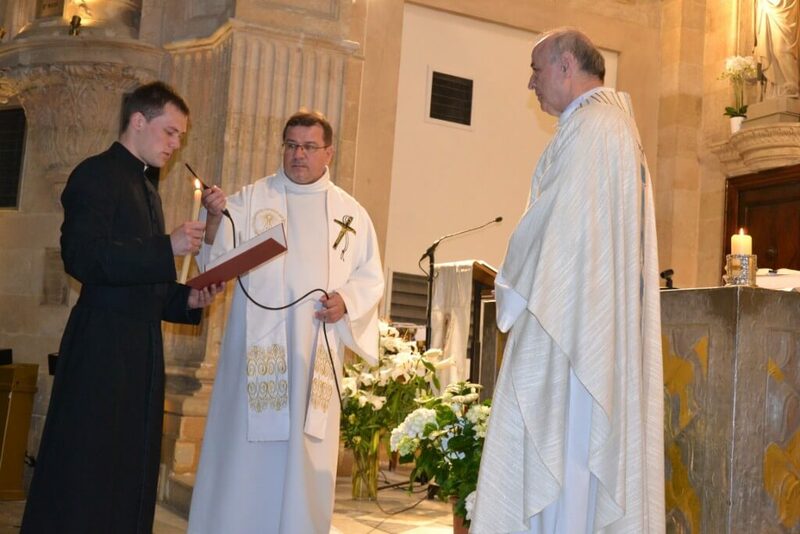 His formation for priesthood will end with the diaconate and priestly ordination. The Missioning will follow. 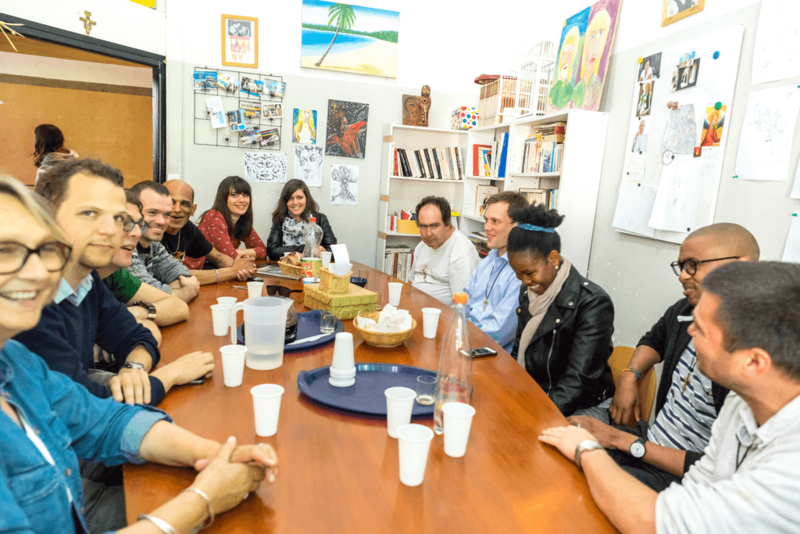 The “Parcours-Mission” is a proposal of the Oblate community of Chavril in Lyon. It consists of 3 weekends meant to bring together young people seeking meaning in their lives and their place in the Church and the world. 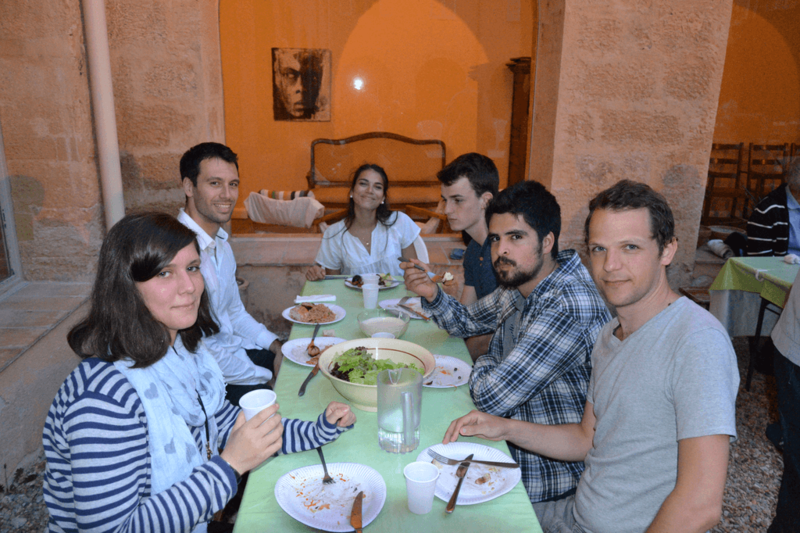 The third weekend of this year took place in Aix. To deepen our relationship with Christ we spent four days together from Ascension Thursday to the following Sunday. The reflection on mission in Oblate spirituality had for its source the words from the Gospel of St. Mark: “To be with… and to be sent…” (Mark 3,14). The reflection was enriched by various talks given by Oblates: Mission in the New Testament, the Eucharist in the life of Saint Eugene de Mazenod, Mission and internationality and finally Evangelization. Since the main theme of these days was Mission, we had to challenge our talents by organizing the Ascension Thursday Mass and a prayer vigil on Saturday evening, which was highly appreciated by all participants. 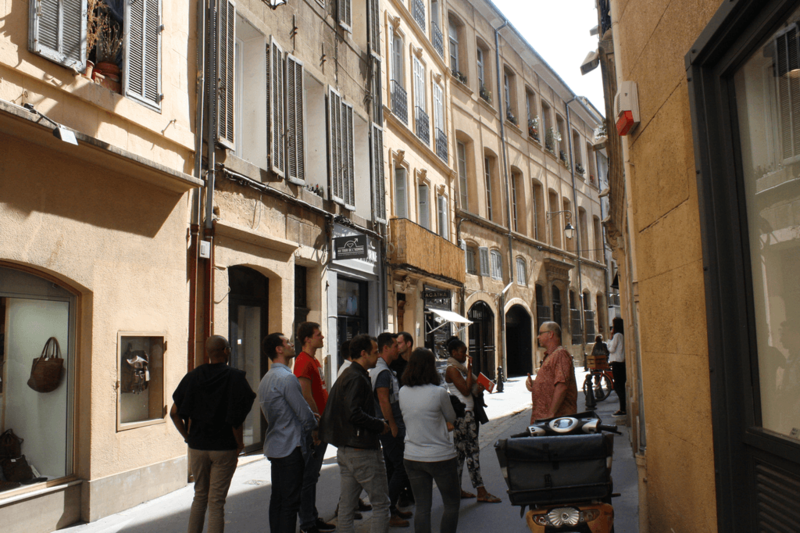 We certainly did not miss moments of deepening our friendship and exchange between us, while visiting the city of Aix in the footsteps of Saint Eugene. 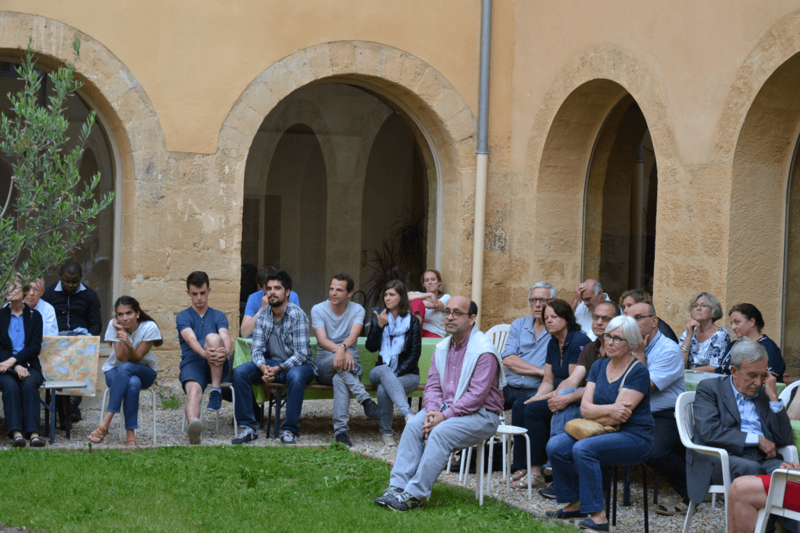 On Friday afternoon we attended Mass at Montperrin, the psychiatric hospital of Aix. 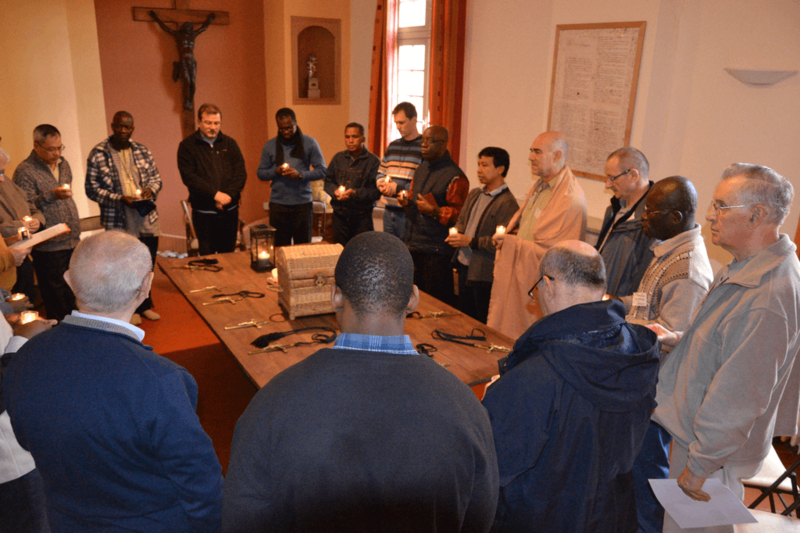 During the visit we followed a well-prepared presentation on the mission of the chaplaincy. Before and after the celebration we were able to exchange with some patients of the hospital. With this 3rd weekend we concluded the Parcours-Mission 2017-2018. The next edition is already in preparation. It is a beautiful experience for all young people who wish to know and experience Oblate spirituality in their daily lives. On Sunday May 5th, 2018, The Frat’s (University Students who lodge in the Oblate Community of Aix) garhered for a day of prayer. The day was for prayer as well as for the evaluation of our fraternity along this year. This moment was deeply appreciated. 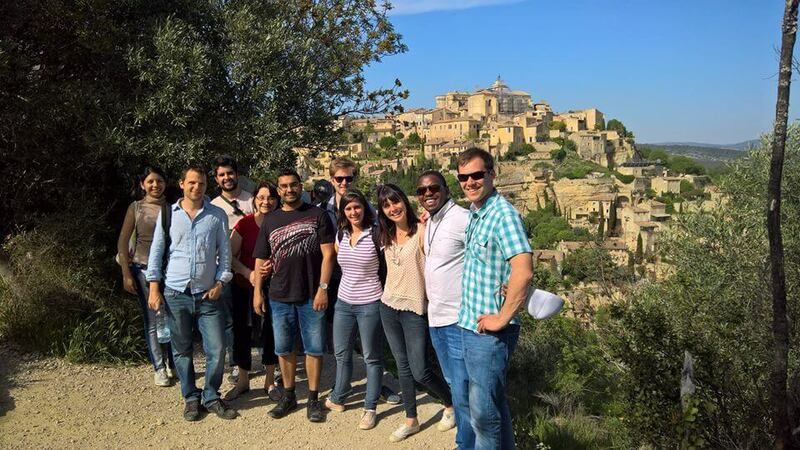 Sunday, April 22, twelve members of the youth group Les Mazenodiens (students and young adults close to the Oblates) went to Luberon for a day combining spiritual, relaxation and conviviality. 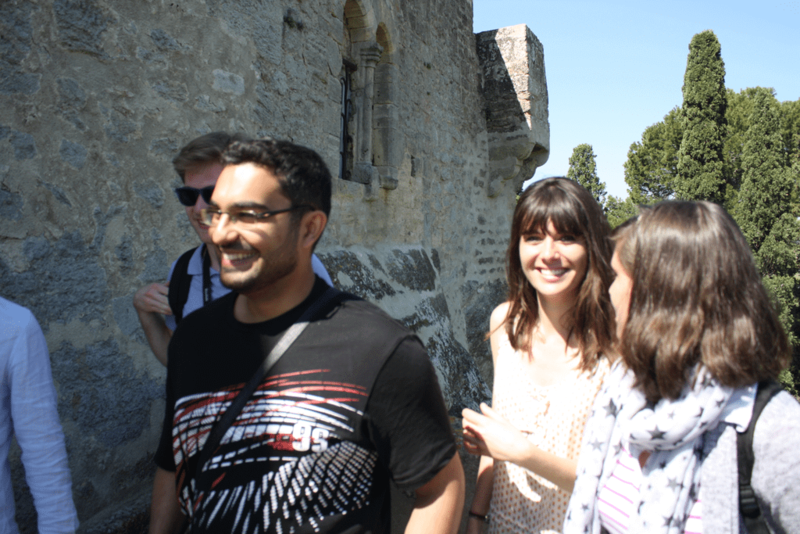 In the morning, we visited the Castle of Ansouis, where we were welcomed with open arms by the proprietors of the Castle and their friends. 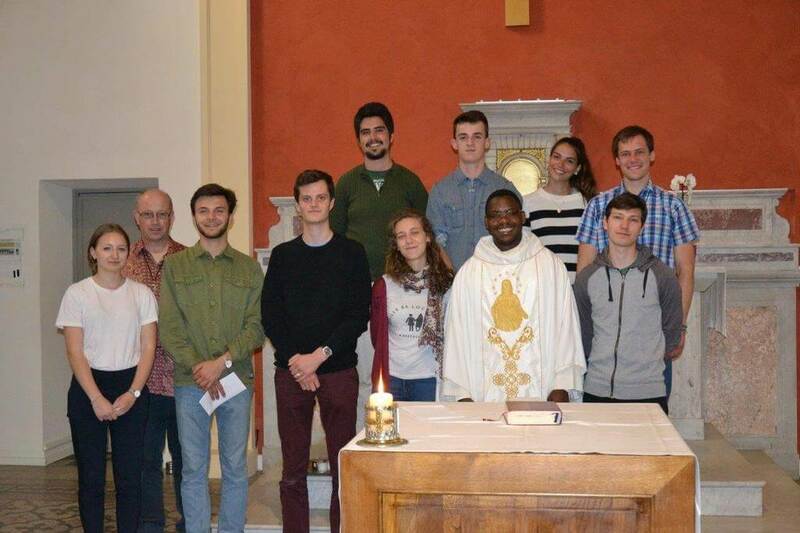 Bonga celebrated Mass in the chapel of the Castle. 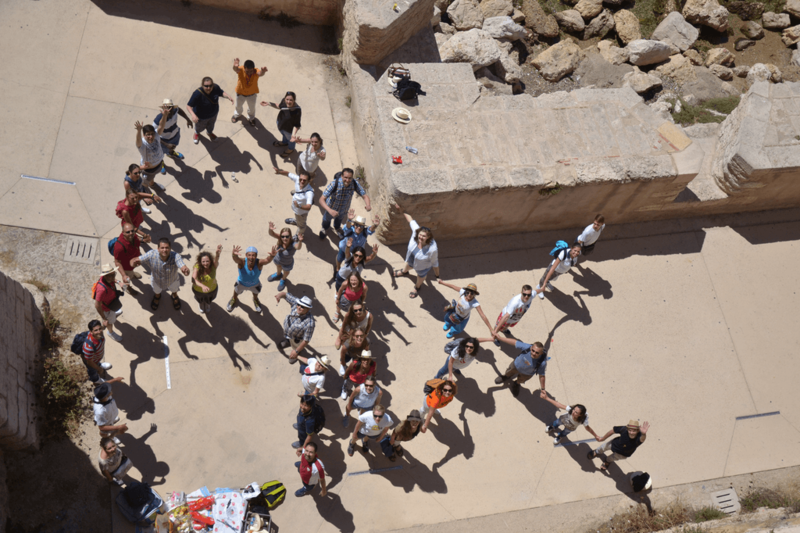 It was a special moment for everyone present: what an emotion to feel the rich history of these places! After a picnic near the Castle of Lourmarin, we went to Notre-Dame de Lumières, place of Marian apparition in the seventeenth century, run by the Oblates. We prayed the rosary in the crypt, and the Oblates ministering in the sanctuary gave us a guided tour. We then took the road towards the Abbey, Saint-Hilaire then to Gordes, where we struggled to find a place to park our cars! Some of us went directly to the Abbey of Notre-Dame de Sénanque, and others joined the group later. 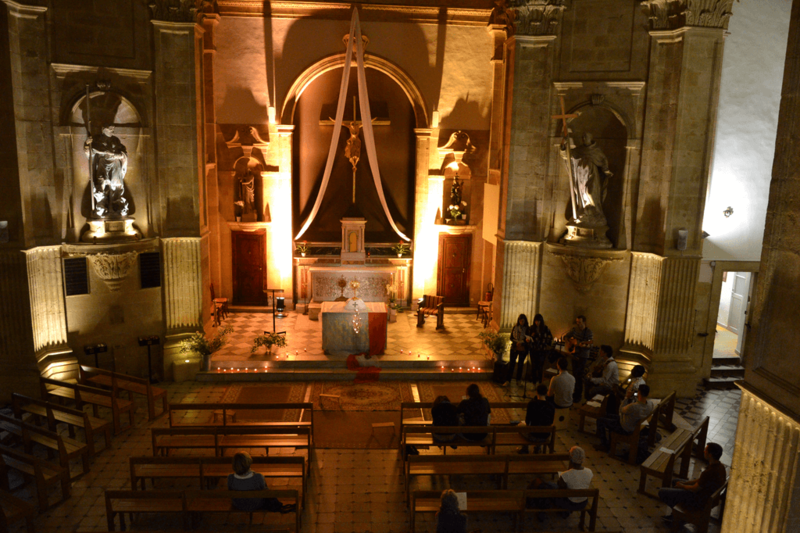 At Sénanque, we attended Vespers and took part in a time of adoration of the Blessed Sacrament. A beautiful way to conclude this day of prayer and Mazenodian fraternity, with profound gratitude to the Lord.